Feed 2 fl oz (approx. 60ml) per day for 7 days. Thereafter feed 1 fl oz (approx. 30ml) per day. 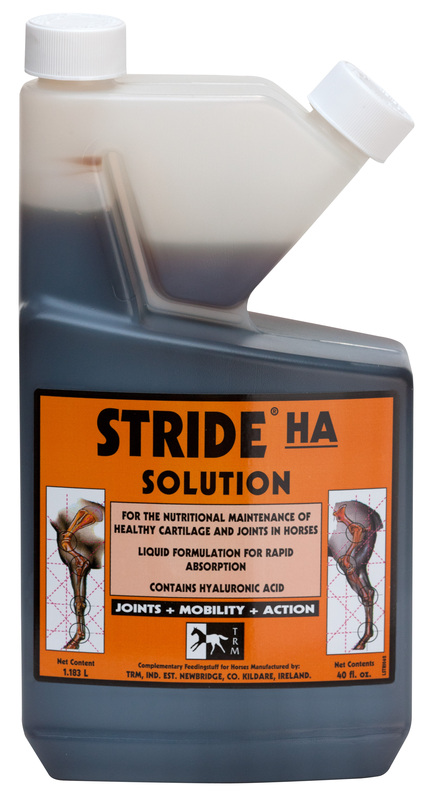 Below are some recent questions we've received regarding TRM Stride HA Solution for Horses, including answers from our team. Yes it is suitable for use on pregnant mares, providing they do not have any allergies to any of the four ingredients - Glucosamine HCI, Methylsulfonylmethane, Chondroitin Sulphate and Hyaluronic Acid.